For those applications where only one temperature is read at a time, the TM99A is an industry standard. It features Min/Max memory, hold, auto shut-off. It is housed in a rugged polyethylene storage case with a sealed membrane and has a backlight for dark environments. The TM99A includes a carry case and 1075 general purpose probe. 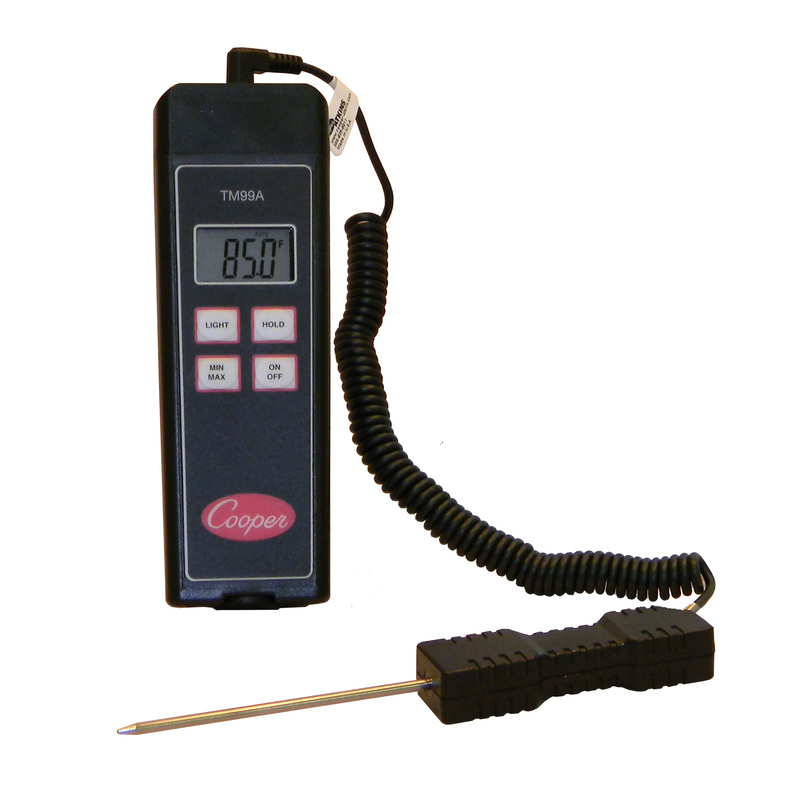 TM-99A Cooper Instruments’ thermistor based digital thermometer, range approx -40 to 150 °C (-40 to 300 °F) in 0.1 °C (or °F) resolution, complete with probe, battery and storage/carrying case.